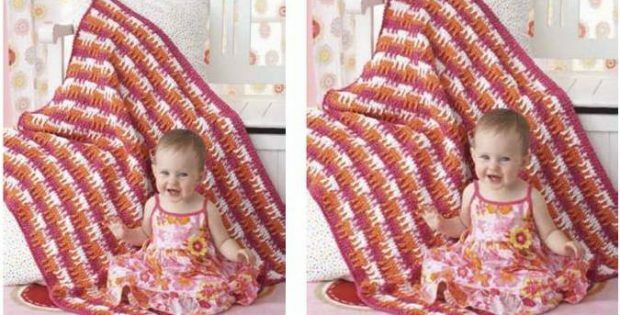 This cozy Bright Textures crocheted baby blanket will keep your baby snug and comfy. The cheery design will also perk up your baby’s space. In fact, this pattern is an ideal project for experienced beginner crocheters looking to craft essential crocheted items for their brood. Once completed, the crocheted baby blanket should measure approximately 36 inches by 36 inches. In metric units, the finished crocheted blanket should be about 91.5 cm by 91.5 cm in size. In fact, you can access the FREE downloadable pattern for this charming crocheted blanket. Featured image: Bernat/ Yarnspirations – thank you!